Behold! 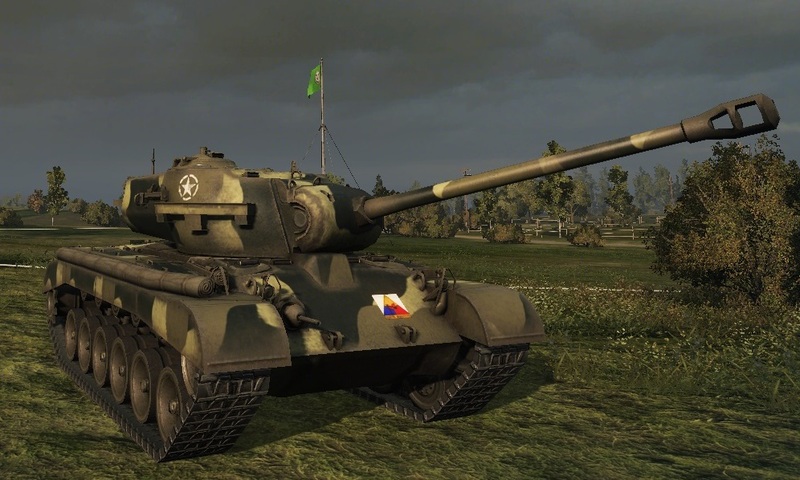 At long last, I’ve managed to unlock the Tier 8 American Medium Tank, the M26 Pershing. This marks the resumption of my long-stalled progress down the American medium tank line. The problem was this tank’s predecessor, the T20. That tank just didn’t mesh well with my play style, so I had to get over a pretty steep learning curve to get any kind of success with it. In fact, I got so frustrated with it that I abandoned the American mediums for about a year, to pursue the German heavy line. I’ve only got about 10 games into the M26 so far, but I’m really enjoying it. I can tell already that I’m going to have more fun with this thing than the T20. In other news, as I mentioned last time I’ve been working on some models for Firestorm Armada again. Specifically, I’m working on the new Terran carrier model and a couple of shield cruisers to support it. My painting progress has slowed quite a bit, due to being busy at work again. Hopefully I’ll have them finished up in a week or so! I’ve also embarked on another project; I’m trying my hand at painting some naval models from Shapeways. This is the service that creates objects to order using 3D printers. There are a number of folks who have made 1:1800 models suitable for use with War At Sea. I’m starting off with just a handful of units to plug a few of the more glaring holes I have in my collection; stay tuned to see how they come out! This entry was posted in Firestorm Armada, Gaming, Miniature Wargaming, War at Sea and tagged Firestorm Armada, War at Sea, World of Tanks. Bookmark the permalink.